Annotation: A new and attentively restored dual-language edition of the 6th-century B.C.E. Chinese Philosophical and Spiritual classic, presented in the celebrated translation of James Legge with the original text at its side. 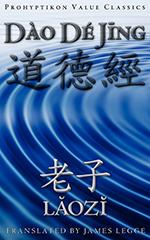 Through 81 transcendent topics, Laozi dispenses his accumulated knowledge and original philosophy of peace and harmony, and the virtues of simplicity. He introduced the doctrine of meekness conquering brutality and repaying injury with kindness to a consistently unforgiving world. And, perhaps most importantly, he introduced the idea that behaviour is a choice, wisdom coming not from learning, but being. 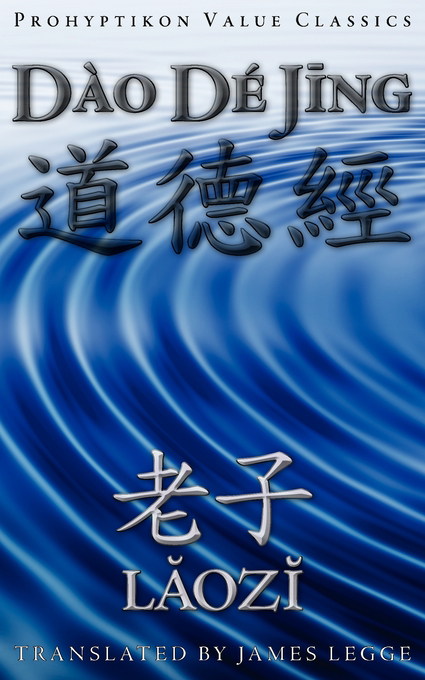 Foundational to Taoism, and highly influential in the West for over two centuries, the Dao De Jing's legendary wisdom and sagacious inversion of the apparent is a must read for every student of traditional Eastern philosophy, religion, spirituality, and history.